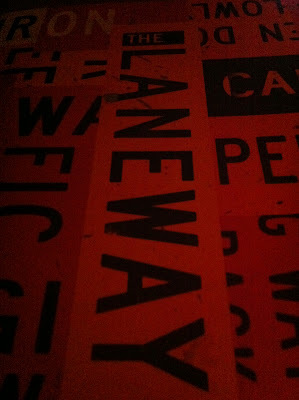 I never guessed that finding a decent burger joint in Brisbane was going to be a difficult task. Completely different situation than the one in Melbourne where the options were plenty, with Wagyu burgers in every corner, and a couple Burger Bloggers to steer your hunt for the perfect patty. So without any help I started my quest for the golden patty. The first joint I visited. How to describe it? Probably young, hippie, and alternative place in Southbank area. Loud indie rock through the speakers trembling the outdoor tables and their al fresco offer. Burgers are made from scratch from rump. 14 Burgers, some salads, chips and onion rings as a side. 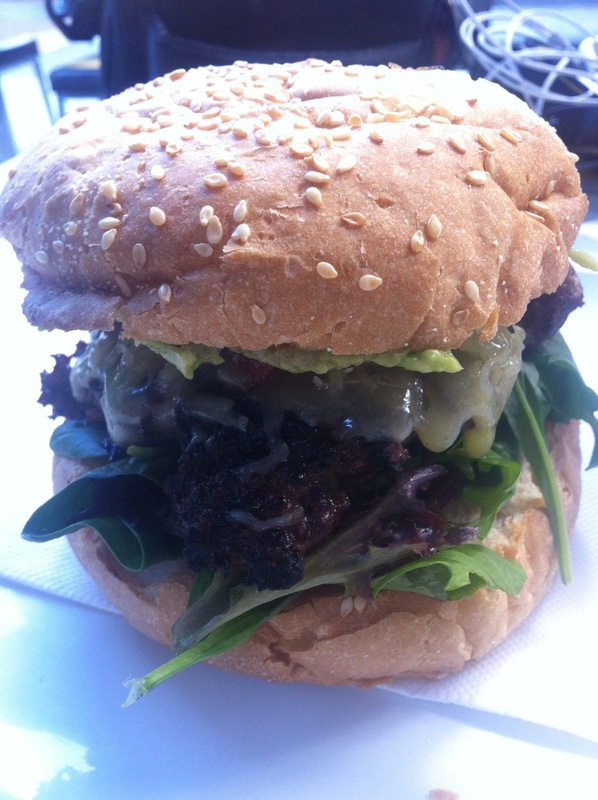 My selection American in Noosa, flame grilled beef burger, bacon, avocado, lettuce, tomato relish, and Kenilworth cheddar. Nice flavour, good balance with all the components, sadly it was overcooked, they offered medium and was pretty much well done, as result no juices, no messiness. Chips were nice and rustic, a bit crispier would have been perfect, a touch of balsamic and aioli was quite nice. My second stop was the same dark bar with cool atmosphere I mentioned in a previous post. This time I wasn’t there for quick bites but to try their burger. The burger a Wagyu chuck patty with lettuce, tomato, cheese, caramelised onions, beetroot relish, and bacon. I tried to order it medium rare but it was not possible, the excuse was that the chef is unable to cooked the burgers to different specifications, seriously? Nice meat flavour, obviously no juices, a dried patty. The beetroot relish not my thing, not so keen with that sweetish flavour. Overall an ok burger. Third stop and no luck yet. 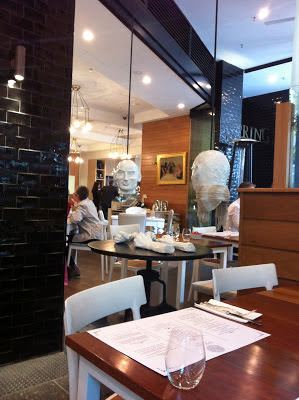 Another steakhouse in Portside Brisbane. The attraction of the place a 270 Plumm Champagne glasses chandelier. 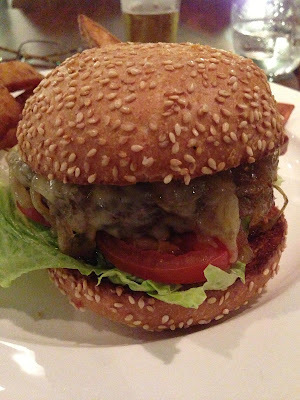 The burger is in the Bar Menu but the chef made an exception and I got mine on the main dinning room. The Belvedere Burger, Gruyere cheese, bacon, and tomato relish, served with shoestring fries. Nice flavour, good balance, a lovely rustic toasted bun, sadly the bun got a bit tough at the end. The Wagyu patty perfectly cooked, great flavour, a bit smaller for the size of the bun, so at the end I finished eating a bacon and cheese sandwich. Shoestring fries were a bit tough. Yes the chain that hates bloggers. Well guess what Grill’d I went and I’m writing about it. They are all over Australia, I remember them from Melbourne but the burger scene there was so good that it didn’t cross my mind eating there. The place is an assembly line well oiled machine. You can see how they prepare everything in the counter, one in charge of the bun, another two of the toppings and sauces, one of the fries, and of course the grill man. My burger had crispy bacon and cheese with salad, relish, and herbs mayo. The burger wasn’t as bad as I thought. It was nice for a fast food kind of place, cooked medium, no juices, but good flavour. Fries were good, sauces made in house with fresh ingredients. Honestly a good quick option, at least in Brisbane. Moving on my next victim was back to Spring. Chef Kym Machin bistro place, at least by the time I went it was. Still one hat from the Good Food Guide. The same white and bright décor. Seasoned menus made from Australian produce, open for breakfast, lunch, and dinner. The one and only Wagyu beef burger with shoestring fries. Burger was ok, to be honest I had better meals at Spring. A bit smallish in size, thin patty, and as a result it was cooked medium instead of medium rare as I ordered. Sadly didn’t blow my mind. Again the same steakhouse I reviewed previously. Favourite place for one of my colleagues, usually pretty consistent delivery in terms of steaks. Lovely cow cartoons as a decor. The burger a Wagyu version, Cheddar cheeseburger with bacon, iceberg, and a BBQ sauce. Cooked well done, no juices, BBQ sauce gave a sweet touch, the iceberg gave a crunchy touch. The bacon was British style, meaty, bun toasted, for a moment I thought it was going to collapse but it held. Overall ok, I was expecting more for a Wagyu version. 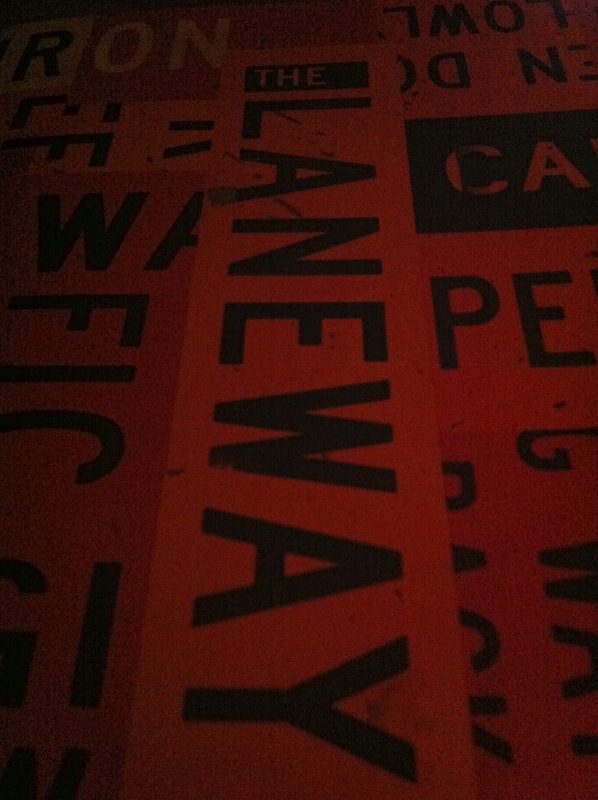 Another laneway bar, basically they took over the building hallway put U shape tables and voila a bar semi-al fresco was created. Restaurant with one hat awarded by the AGFG. The restaurant was pretty busy but the bar was completely empty for a Thursday night. The burger with miso mustard, the bun rustic, puffy, quite nice, thin patty cooked medium, a bit pink but no juices at all, the mustard gave a nice bitterness, on top thinly sliced pickles. The fries were outstanding, the burger was ok. The modern and luxurious Hilton hotel restaurant, minimalistic style, relax, not too busy. Premium steakhouse and wine bar, they had a chef hat during my visit but couldn’t retain it in 2013. 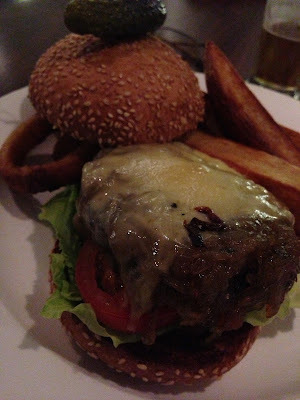 Back to the burger, the Vintaged Wagyu burger, it comes with beetroot but I asked to be removed. Basically I unbalanced the chef creation, but in my opinion burgers and beetroots should not to be mixed. Caramelised onions, cheese, tomato, lettuce, and BBQ sauce. Nice flavour, cooked medium, but still a slightly amount of juices dripping, Too much sweetness from the onions and BBQ sauce, I can’t imagine with the beetroot. Simon Hill tapas bar and restaurant. A cool lounge and dinning Mediterranean cuisine place in Fortitude Valley. 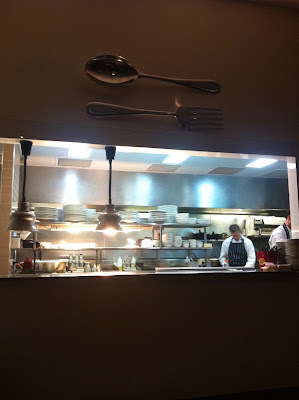 Chef Pablo Tordesillas after being trained in London working in a couple Michelin star restaurants went Down Under. Three hats the top award by Good Food Guide. 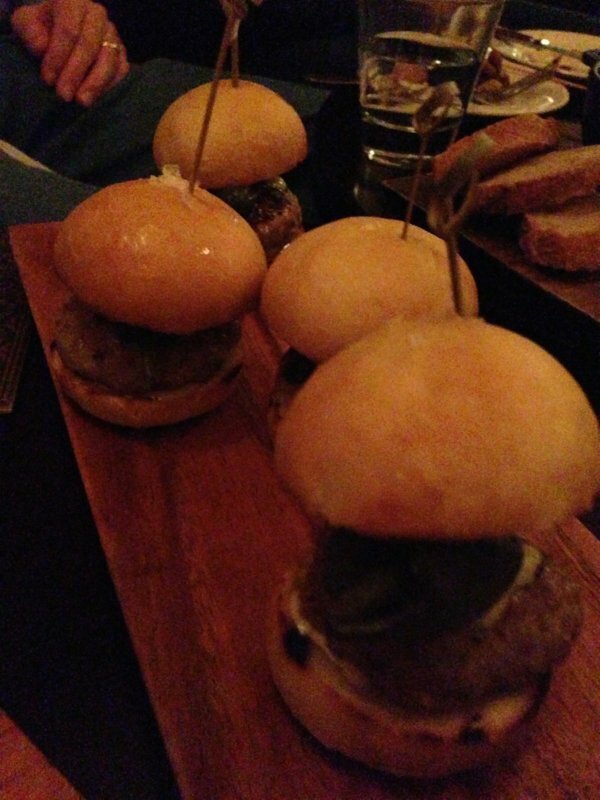 The burger is Hamburguesa, a slider of pork and jamon, with pickled Padron pepper, and aioli. 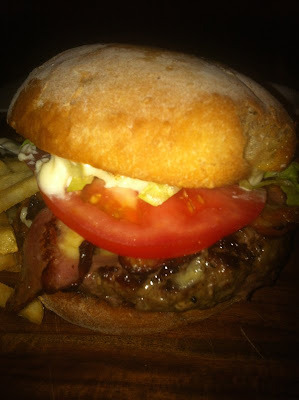 It was quite nice, good flavour from the pork and jamon combination, nice home made aioli, Spanish style. 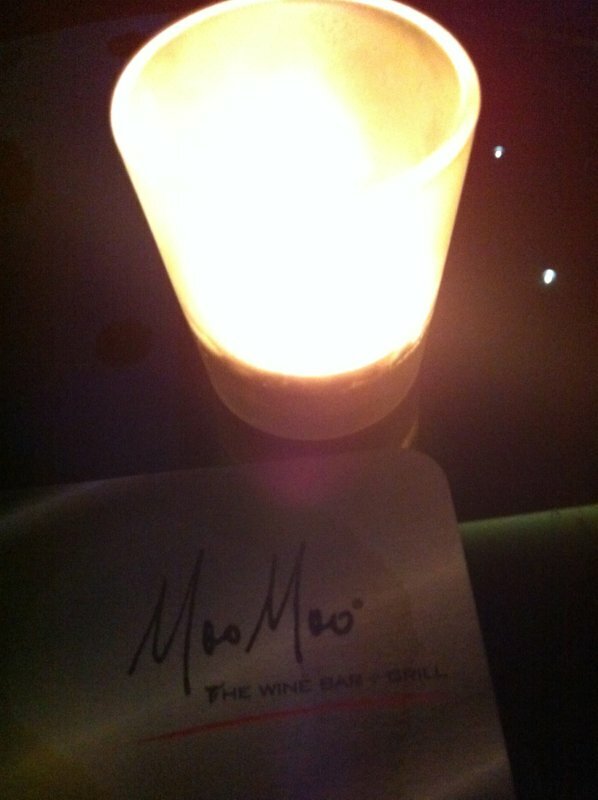 My final stop was back to Moo Moo Wine Bar and Grill. The burger is available in the bar, cool dark space, relax, lounge music, and a tapas menu. My expectation was high as the steaks there were superb. The burger a dry aged Wagyu, bacon, black pepper aioli, mozzarella, and onion rings. Nice flavour, perfectly cooked medium rare, the pepper aioli was nice, the melted mozzarella with the dripping juices a win win situation. The Wagyu flavour was outstanding. Definitely the best one I had. Plenty of burger options but a cumbersome task, hope I’m not being too picky but definitely the one I would happily eat again and again and again is the Dry Aged Wagyu burger in Moo Moo.